Somewhere in Poptropica there was A LEGENDARY SWORD ! And they found the sword somewhere in the Wild West . We’re sharing the Poptropica creators’ picks for their favorite Islands. Today: Master Mime. I really get a kick out of Wild West Island. 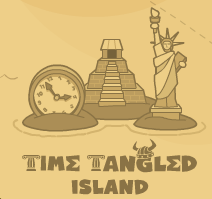 This island has a lot of fun elements like riding a horse on top of buildings, shooting at targets with a pea shooter, herding lost cattle with a lasso. I’ve had many compliments from the residents about how tough I look with an old dusty cow poke hat, some strawberry chewing gum in my lip, and a rattle snake rope by my side. For a mini island experience, nothing beats the adrenaline rush of swinging those Legendary Swords at those wacky E-Vile robots. Oh and something I forgot to tell IC . Im going back to school on August 9 so I might not post a lot , I’ll try to . So yeahhh . . .
You probably know about how the Creators are doing a series of posts about what islands are their favorites. So far we’ve had Captain Crawfish with Red Dragon Island and Dr. D. with Cryptids Island. The Creator who is revealing his favorite island today is another whose name begins with “Dr.”. But this guy is a little bit furrier than Dr. D.
We’re sharing the Poptropica creators’ picks for their favorite Islands. Today: Dr. Hare. Well, that about wraps it up for right now. Who do you think the next Creator to tell what their favorite island is going to be? And what island do you think they will choose? So, as you probably know, the Creators are doing a series of posts, telling us what their favorite islands are. The first one was with Captain Crawfish’s pick. You would think that he would have picked Skullduggery Island. After all, he’s one of the main characters in that. But, instead he chose Red Dragon Island. Weird, huh? Well, yesterday, they did another post in this random and boring series of posts. This time with Director D.’s pick. We’re sharing the Poptropica creators’ picks for their favorite Islands. Today: Director D.
It’s so much fun to see an island dedicated to some of the greatest urban legends of all time! The scariest part for me was the Jersey Devil. I love sword fighting games! This adventure doesn’t disappoint. 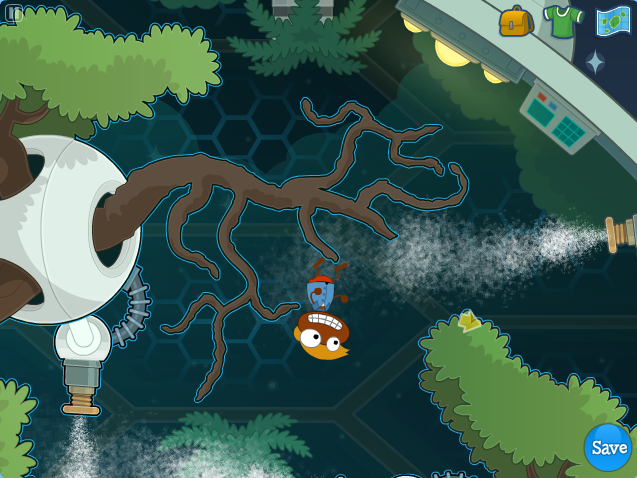 You get to battle an evil robot invasion, upgrade your swords, build up an inventory of energy crystals, and battle a huge robot before it reaches Poptropica! Legendary Swords doesn’t really count as an island… But, still, I thought they were only allowed to choose one thing. They’ve started with Captain Crawfish. Over the next week, we’ll be sharing the Poptropica creators’ picks for their favorite Islands. Today: Captain Crawfish. My favorite is Red Dragon Island. I love the art for old Japan, and I especially like all the cool ninja powers you learn to use near the end. You wouldn’t expect an old sea salt with a peg leg could master the grappling hook, but I did it! …What can I say? The title describes it all. We No Longer Have To Wait ! Wimpy Boardwalk is available to all of us ! The wait is over. Wimpy Boardwalk is now available to everyone. Visit Poptropica now to play Wimpy Boardwalk! Is This A Glitch or Not ? 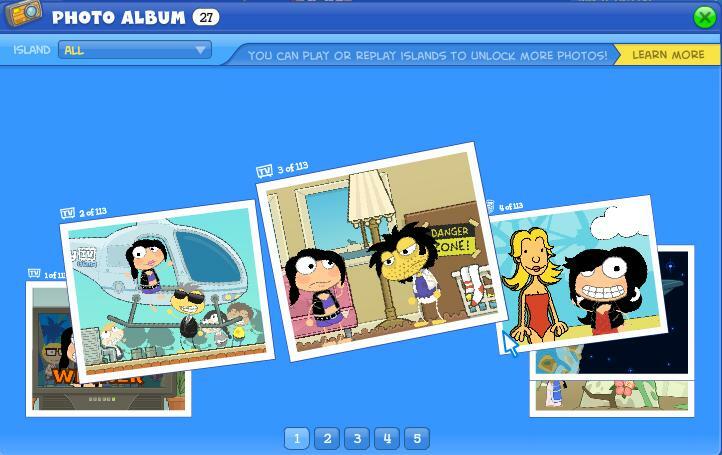 So, you know how the photo album in Poptropica? Well, for non-member you can only get one photo for each island. And for members they get to have all the photos. Tomorrow is July 18th. Do you know what that means? No, it’s not your birthday. …Tomorrow is the day that Wimpy Boardwalk comes out for non-members! But, with the arrival of Wimpy Boardwalk comes the departure of something else. It’s a bittersweet occasion when an Island becomes available to everyone. Sweet, because — well, obviously because everyone can play! Bitter, because it means that some of the Members-only items for that Island are gone for good. That’s the case with the exclusive “Beachgoer” costume on Wimpy Boardwalk. Time is running out to get it! Wimpy Boardwalk will be available to everyone this Thursday, July 18. Watch this blog for the official announcement! Cry your hearts out, Creators. I don’t think that anybody’s going to buy membership just for that costume. What’s that you say? That membership pays Poptropica’s bills? And without it you would have to shut Poptropica down and go out of business? *yells* EVERYBODY GO OUT AND BUY MEMBERSHIP!! !